With a menu packed with an all-star list of American comfort foods Cantina 23 seems too good to be true, but Yuji’s many satisfied customers say otherwise. Yuji Kawarasaki has been building quite a following with his little, well-appointed diner located on a side street between Hiroshima’s stylish Namiki-dori street and busy Chuo-dori street. His sandwiches include favorites like grilled cheese, Cuban, pulled pork, cheese steak, B.L.T., grilled chicken and roast beef. 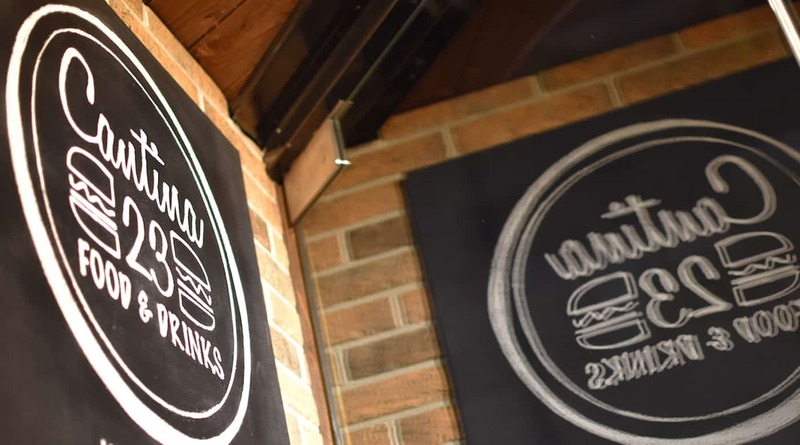 You can build your own burger, grab a chili dog or a burrito, and that doesn’t even include the main dishes. Those who have had their hopes raised by menus promising similar delights around Japan only to be disappointed might be skeptical, but according to his many satisfied customers Yuji’s food is the real deal. Yuji got passionate about sandwiches when international friends started raving about his creations. Inspired to have a go at the American classic the Cuban Sandwich after watching the food truck road movie Chef, the response from local American residents was so enthusiastic, he started to think that there could be a business here. He also saw a gap in the market, for authentic sandwiches made with high quality ingredients, for “slow fast food” as Yuji puts it. He picked the name Cantina as it had a variety of different meanings in different languages which fit his vision of a place that could fit the needs of different customers on a variety of occasions; treated as a cafe, restaurant or even a just a bar. The 23, by the way, is his birthday. Chatting to Yuji, it is clear his first love is the humble sandwich and he seems almost disappointed about the popularity his build-your-own burgers. To be fair, his sandwiches are kind of new to his Japanese customers and his international customers do love his burgers and the word is that they some of the best in the area, though you have to have quite an appetite to go for the full stack with all the options. Cantina 23 also serves BBQ ribs, burritos (including a very tasty vegetarian option), plus other main dishes such as Hawaiian style poke and some indulgent homemade pies: Cantina 23 is the only place in Hiroshima (and perhaps the region) where you can order Bread Pudding. Food is also available to take away.